Healthy living has become a trend. Thousands of consultants and blogs provide information about various options for integrating sport, nutrition, wakefulness and relaxation into your daily life. Environmental protection is also included among these topics. Sustainability plays a major role here. And a healthy living environment is increasingly becoming one of the core requirements for new buildings. Energy-related renovation of residential buildings has become standard today, with the latest technologies for sustainable architecture being used in new projects. As a result, we need less heating to keep our rooms at a pleasant temperature in winter. Certifications, such as Minergie or 2000 Watt Society, provide guidelines that can lead to a transition to sustainability in architecture. The buildings are better sealed, preventing any uncontrolled exchange of air through gaps and cracks. However, if the construction of such buildings used materials that were not perfect biologically (that is, if they contained harmful substances), escaping harmful substances would accumulate damage to our health. This brings the topic of healthy living into focus. 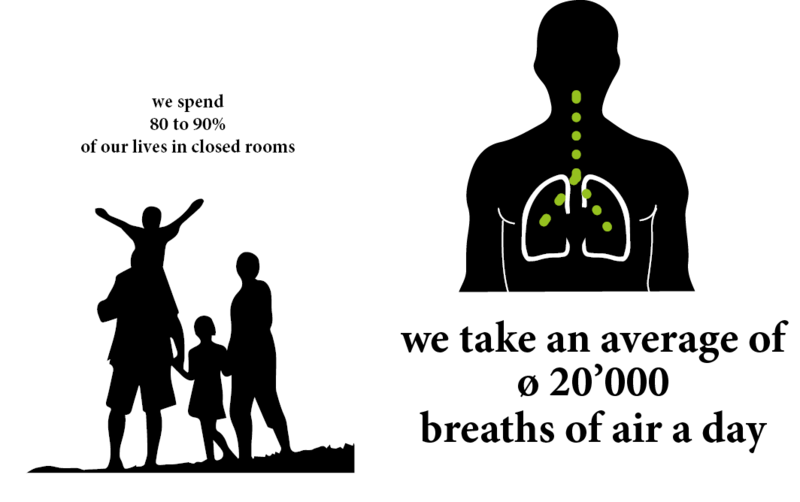 As we spend up to 90 per cent of our life in enclosed spaces, breathing in some 10 to 20 cubic metres of air a day, an analysis of the construction materials used and the resulting impact on our health is absolutely necessary. The use of tested construction products can be seen as a milestone in achieving improvement. Bauwerk Parkett also stands for healthy ambient air, and in 2010, the company started consistently testing its products through independent institutions, such as the Sentinel-Haus Institut. Thus, with the ‘Healthy for Living’ slogan, Bauwerk is making an important contribution to improving the quality of life in buildings. Apart from materials that are checked for harmful substances, modern buildings must also be equipped with intelligent domestic appliances in order to receive a healthy-living certificate. Good examples of this include the Witenzelg residential complex in Romanshorn by Felix Partner Architekten, or ‘Haus am See’ by the architect Stephan Rehm. 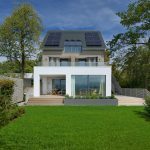 The ‘Haus am See’ project has been awarded the ‘Wohngesundes Bauprojekt plus’ (‘Healthy-for-Living Construction Project Plus’) health certificate, recently developed by the eco-friendly house company Baufritz, TÜV Rheinland and Sentinel Haus Institut. In this project, the designers have taken every step to combine healthy-for-living products and intelligent domestic appliances for comfort and energy efficiency. Peter Bachmann explains how a building or a product (such as parquet floor) is certified. However, the advantages of correct parquet floors are not limited to improving the quality of people’s lives. The sustainability of parquet can be extended by applying the principles of healthy living. «Cradle to Cradle» uses a particularly sustainable approach. Cradle to Cradle stands for eco-effectiveness. This concept, developed by the chemist Prof Dr Michael Braungart and architect William McDonough, is aimed at achieving a waste-free economy. 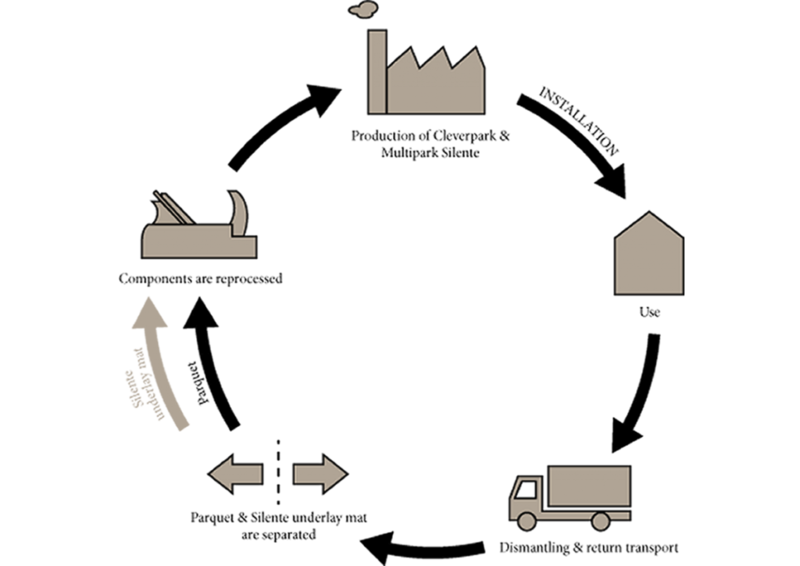 All components that are used in production must either be returned to the biologic cycle as nutrients or remain in the technical cycle, i.e., they must be reused without loss of quality. So far, Bauwerk Parkett is the only wooden-floor manufacturer to receive the Cradle to Cradle Certified™ Gold certificate for its Cleverpark Silente and Multipark Silente products. The certificate is granted on the basis of five criteria: materials, material recirculation, renewable energy, carbon management and social fairness. Furthermore, since 2016, all the parquet products made at the St. Margrethen production site have met the Gold or Bronze requirements of Cradle to Cradle Certified™. Apart from healthy living, Bauwerk Parkett places a great deal of emphasis on sustainability. 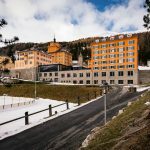 And it comes as no surprise that such a tradition-oriented organisation as Lyceum Alpinum Zuoz chose Bauwerk’s products. Education, athletic achievement and healthy nutrition form a single whole at this boarding school, which promotes its students’ health in body and mind. In order to reinforce this philosophy, particular attention is paid to a healthy room climate: with Bauwerk’s Cleverpark, Oak Crema B-Protect® and Silente mat, it is healthy for living.